Sidney James Stocker was born on February 4, 1947 to Thomas and Lucille W. Stocker, Sr. in West Palm Beach, Florida. He received his formal education in the public of Marion County Florida, graduating from Fessenden High School. He accepted Christ at an early age and was of the Baptist Faith. Mr. Stocker retired as a cook in Morrison Cafeteria. He enjoyed playing checkers and was good at it. He leaves to cherish his loving memories his children: Tony Stocker (Shonnie) of Ocala, Debra Bryant (James) of Reddick, Sidney Stocker Jr. (Dee) of Ocala, Demarius Stocker, and Clorissa Stocker; two sisters: Betty Stocker and Annette Wright; four brothers: Earnest Williams, John Williams, Thomas Stocker, and Jimmy Stocker; twenty-seven grandchildren and sixteen great grandchildren and two special friends: Rod “Black One” Richardson and Keith ‘Blad Head” Lofton. Public viewing will be Friday, March 29, 2019 at Summers Funeral Home, 2238 NW 10th St, Ocala, Florida from 2:00pm until 6:00pm. 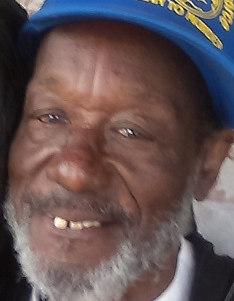 Funeral Services for Mr. Sidney James Stocker will be on Saturday, March 30, 2019 at 11:00am at St Mary Missionary Baptist Church, 3399 NW 55th Avenue Ocala, FL 34488. Final Interment will follow at Sparr Community Cemetery, Sparr, Fl.